Patented nesting design allows for extra storage space, better facility organization, and the simultaneous transportation of multiple stands. Large, smooth-rolling casters with 2 wheel locks. Includes 4 fixed ram-horn hooks. Collapsed height of 65 inches with an extended height of 88 inches. 100 lb. maximum load capacity. 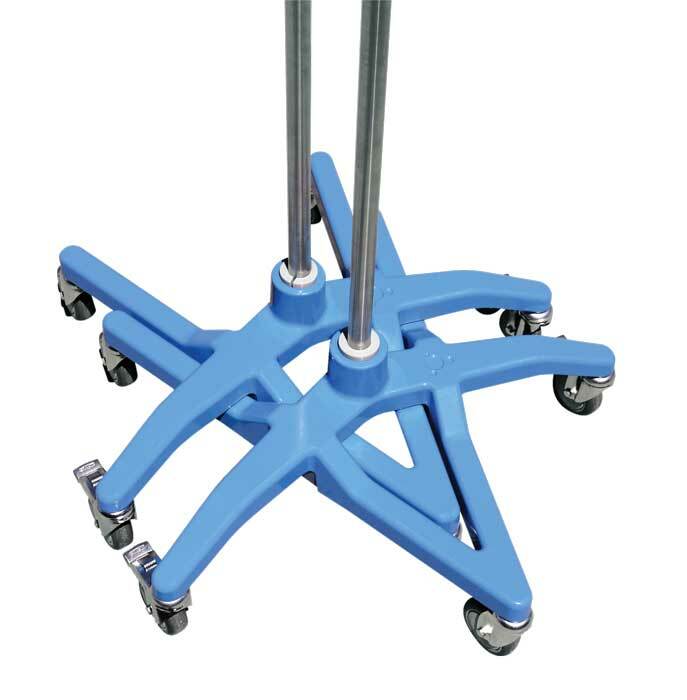 The SmartStack patient care pole from Maxtec has a specially-designed 24-inch cast aluminum base, providing extra stand support and durability. Its patented interlocking design nests neatly with other SmartStack bases (both 22-inch and 24-inch) for ease of portability and storage. 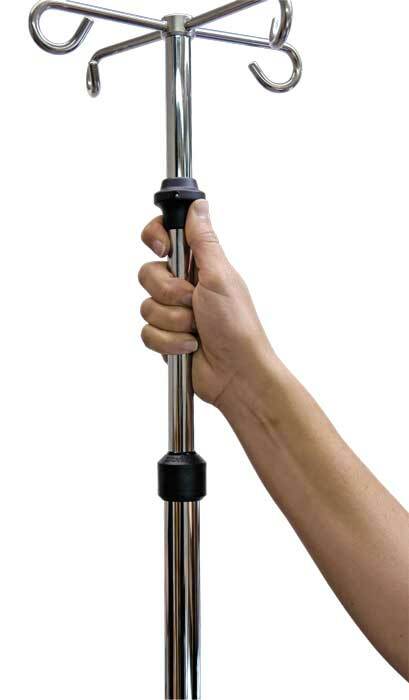 The new pole features an increased tube height of approximately 5 feet and extends to just under 8 feet. It also includes a one-handed height adjustment knob that quickly releases and locks into place with ease.